Every business with employees is required to pay payroll taxes. These deposits are typically due within a few days after payroll checks are issued and if you fail to pay on time, the IRS will immediately impose interest and penalties. Most businesses make submitting these tax deposits a part of their regular routine, but business owners who are not diligent about making these payments accurately and on time can run into major payroll tax problems. When cash flow gets tight, some business owners dip into the withholdings from payroll to pay monthly expenses like rent or utility bills. They may reason that they’ll catch up on their payroll taxes as soon more money comes in and will avoid any serious problems but instead the debt compounds week after week. Another reason businesses experience payroll tax problems is because these funds are mismanaged by a dishonest or unqualified employee. An employee may hide the fact that they've failed to submit employment taxes for a long time before the IRS comes knocking with a large tax bill including harsh penalties. Once the IRS takes note that your business has failed to file payroll taxes properly, they will aggressively pursue their money and start racking up the penalties. If you wait to take action, your business may end up facing penalties that exceed the actual amount of employment taxes owed. If the problem persists, the IRS has the power to shut down your business and sell off the assets to pay off the tax debt. In extreme cases, they may even press criminal charges that result in a fine or imprisonment. Don’t wait any longer! If your business is delinquent on your payroll tax filings, contact Fort Worth, TX CPA Firm Stuart C Hill Jr., CPA, PLLC today at 817-332-3320. 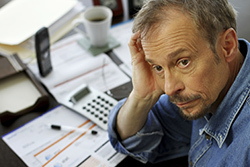 There are a variety of tax relief options available and we may be able to get your tax penalties reduced. 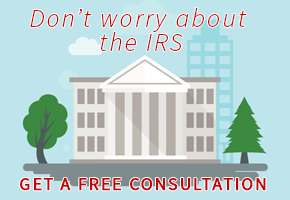 We can work directly with the IRS to initiate a payment plan like an offer in compromise or installment agreement that will allow you to pay off your debt.